Despite the billions of pounds, dollars and yen spent of imaging equipment across the world, none are 100 % accurate, all have limitations and shortfalls. Therefore a large array of techniques and different machines have been developed to minimise the possibility of error. Please do not be surprised if you need 2 or even 3 different tests. 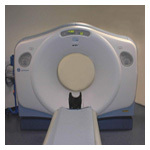 Radiology is the science of medical imaging using X-Radiation. Over 100 years have now passed since the discovery of X-Rays, and radiology has had many advances since then, these include CT scanning, MRI scanning, Ultrasound Scanning, Nuclear Medicine and not forgetting the humble simple X-Ray (radiograph). 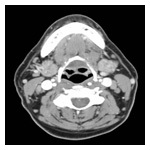 The radiology department appears to be a high tech environment, but the bottom line is that all that machinery, computers are designed and dedicated to serving the patient. 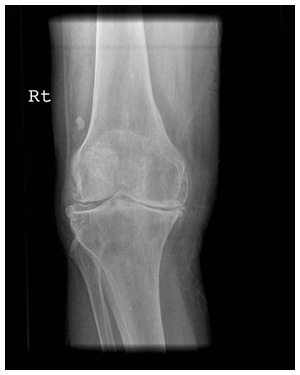 The fundamental function of the radiology department is to obtain accurate images to diagnose the patients condition or to show a specialised doctor (ie an orthopaedic surgeon) what if any treatment is needed. 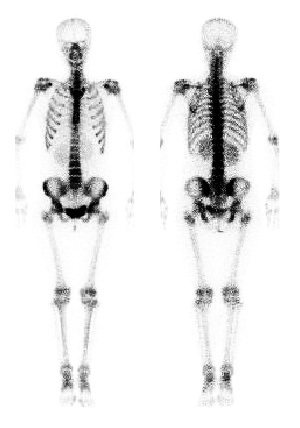 A Radiograph or simple x-ray uses electromagnetic radiation to obtain a 2D image of a body part. The image is created by some of the x-ray photons being stopped by bone and dense tissue thus creating a pattern, not unlike a slide projector principal. Radiographs, or simple x-rays are the bread and butter of any department, this is usually the first line of investigation often a simple x-ray can exclude or confirm a condition immediately. Unfortunately, simple x-rays do not show cartilage, muscle or other non bony structures very well (if at all) and the need for more specialised imaging is often needed. A CT scanner is a machine developed in the late ‘70s and early ‘80s by Thorne-EMI whereby the machine uses x-ray radiation to produce a cross sectional image of the body part being examined. Still a two dimensional image, but showing the insides of the body. A somewhat gruesome explanation is a virtual bacon slicer, allowing the radiologist to view a "Slice" of the patient at a time. CT Scanning allows for a greater detail of both bone and soft tissue visibility and still have an invaluable contribution to modern medicine today. 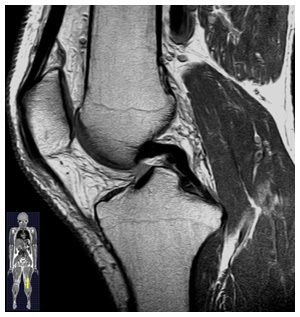 The CT scan still has limitations when visualising soft tissue, in the detail an orthopaedic surgeon needs. In order to visualise any small tears, defects in muscle, ligaments, tendons and cartilage the choice of investigation is the MRI scan. A MRI scanner is a machine that uses radio waves and a strong magnetic field instead of X-Rays to build up a 2 dimensional cross sectional image of a body part. Unlike the CT scanner, the MRI scanner is more sensitive to muscle, tendons and cartilage allowing both small and previously hidden to be seen in exceptional clarity. MRI scans also have shortfalls, patients with certain implants and pacemakers are not allowed to enter the room due to the strong magnetic field and the visualisation of bony detail is poor. Ultrasound, uses sound waves (non audible) that are bounced back at different speeds (of frequencies), the ultrasound computer changes these frequencies into different colours or tones on the operators screen creating a picture of the body part under investigation. 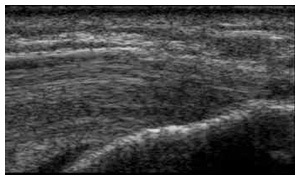 Ultrasound needs soft tissue or fluid to work effectively, and accessing hard structures within the body i.e. bone is nearly impossible. Ultrasound is also used to access blood flow within arteries and veins. Nuclear medicine is the study of injecting small amounts of radioactive isotopes into the patient to produce images of different body parts. After injection, the isotope emits gamma radiation (similar to X-Rays) from within the body. Nuclear medicine is especially helpful when a tiny fracture, infection or tear is suspected, but not seen on conventional x-rays. When a fracture or infections occur in the body, the body's reacts by sending red and white blood cells from the blood to the area. This creates an area of increased activity than normal, when the radioactive tracer is injected into the blood, this tracer also pools in the area of increased activity, sending gamma rays to the camera outside thus allowing the operator to locate and identify the area. The Radioactive tracer, dissipates very quickly with a half life of just over 6.2 hours.